Following assurances by Jewish Home MK that funds will be transferred, MDA reopens Judea and Samaria branches. 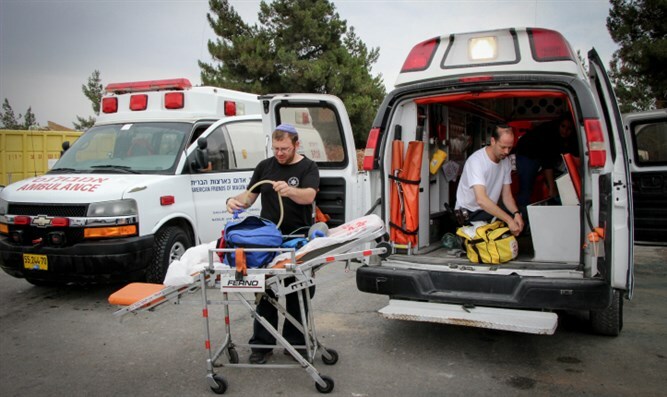 Israel’s largest provider of emergency response services will be returning to Judea and Samaria, following assurances by Jewish Home MK Bezalel Smotrich that the organization will soon receive funds allocated to it by the Health Ministry. Last week, the director-general of MDA, Eli Bin, informed Prime Minister Binyamin Netanyahu that MDA would have to close most of its emergency response centers in Judea and Samaria if the Finance Committee did not immediately transfer funds allotted to MDA. MDA, a volunteer organization which operates most of Israel’s ambulance services, is funded in part by the government, and is allotted a regular budget from the Health Ministry. But on Sunday, Finance Committee Chairman Moshe Gafni (United Torah Judaism) barred the transfer of MDA’s budget, claiming that United Hatzalah had requested a similar budget from the government comparable to what MDA receives, but had yet to receive the funds. Gafni insisted that United Hatzalah, an organization made up largely of haredi volunteers, receive funding before money earmarked for MDA is released. On Monday, MK Smotrich, a member of the Knesset’s Finance Committee, appealed to Bin, urging him to reopen emergency response centers across Judea and Samaria. In his letter, Smotrich vowed to ensure that the Health Ministry funds promised to MDA would be released in the near future. Bin accepted Smotrich’s request, and promised Monday evening to resume full operations in Judea and Samaria.